In June Kevin Pritchard travelled to Waddell Creek, which is one of California’s premier beach breaks. It’s located at the famous highway number 1, 60 miles in southern direction from San Francisco and 20 miles in northwestern direction from the famous surfing spot Santa Cruz. 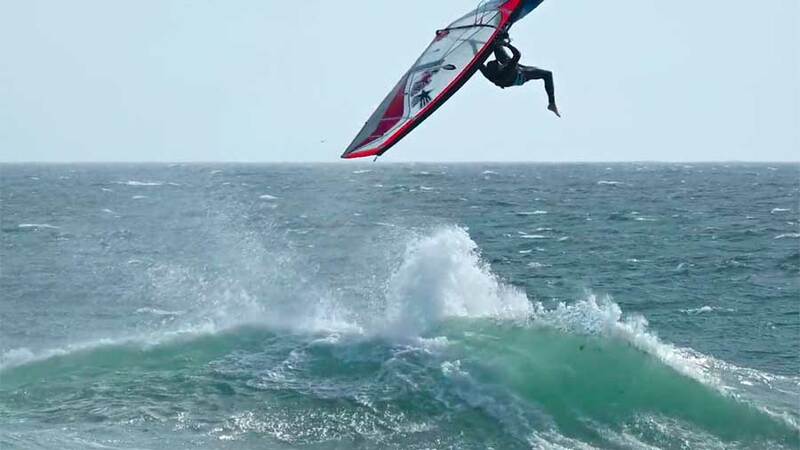 KP met good old friends there, where several great windsurfing events were held in the past and Ian Boyd, one of the biggest names of the Californian windsurfing scene, produced a nice wave windsurfing video with Kevin Pritchard in action. We caught up with Kevin to speak about this session on June 10th, 2018 and why it is always special for him to come back to California. Perhaps it motivates you to travel along California’s coast and ride the waves at several spots. Best recommended time for wind and waves are the months May, June and July. We already windsurfed in the area of San Francisco and at the Jalama Beach Park, where we got fantastic wave conditions for the 4.7m. Most of the spots aren’t too easy. Talk with locals, check the forecast and be aware of fog , which can kill the wind, of the cold water temperatures and the sharks. 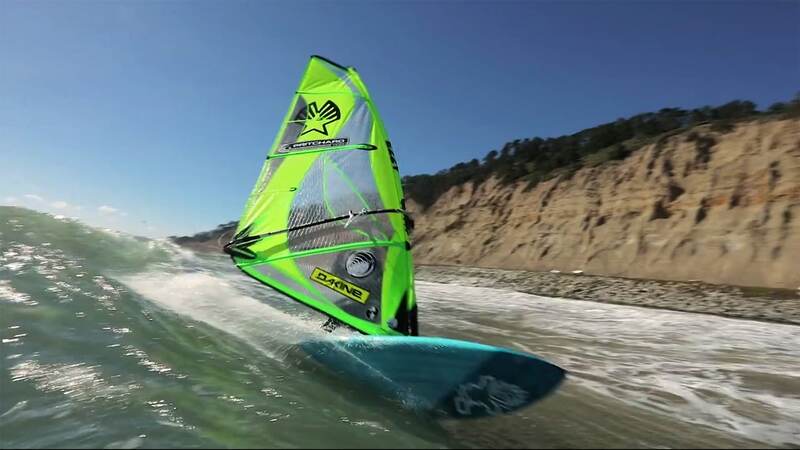 Continentseven: You have been windsurfing at Waddell Creek since you have been a kid. How was it to return to the spot this year? Kevin Pritchard: It is pretty fun that is for sure!! You come back and there are a lot of the same guys ripping it up. For this reason I love sailing around California. We had a nice south happening and it really was a classic day! Has Waddell Creek a long history in your windsurfing life? Yeah it was one of the classic old school competition spots when I was a kid with Ian Boyd, Brian Caserio, the Scheibel brothers or Leon Belanger. What makes these shared sessions special for you? I think it is that I really have known these guys for 30 years… You just don’t get that everyday. They are classic and they love to shred and that is what I do, too. It’s so awesome to see them out ripping. They are a bit older than me so I know I have some years to go. Does a fun session with friends have more value than competing at any events? For me Yes. I have been judged all my life and to just go out and shred this makes it super special. I really have no competitive drive left in me so yeah I am super happy to have fun sessions with friends! Did you enjoy the sessions at Waddell Creek? 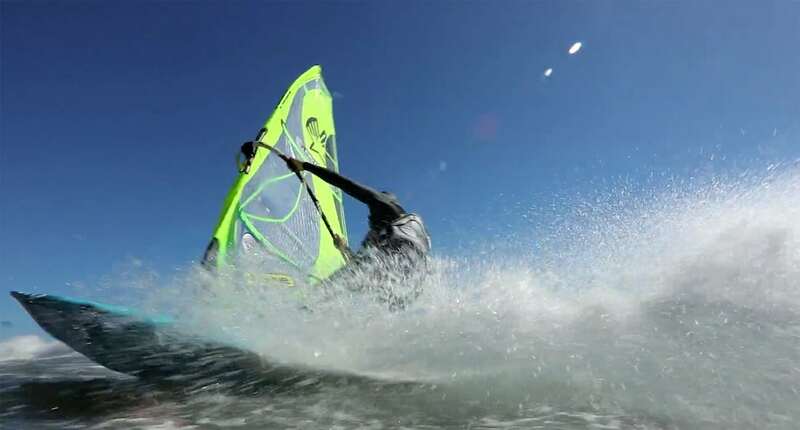 I love going windsurfing that is for sure. I love the good days and the bad ones and this day was pretty fun. I can’t say that I feel like I am ripping super hard especially after watching Brawzinho’s videos, but I still feel like I am in the game. It’s getting harder and my goals have changed from improving every day to just keeping it the same. I think the new and Ian did an amazing job. How many times have you windsurferd at Waddell Creek? We would go there two or three times a year when we were kids and Santa Cruz is a pretty fun spot so I have been there the last couple years. I love the biking that is around there and so it is a great spot to do both. How good is the spot? The action in the video looks rad. The video makes it look easier than it is. Haha.. I like it cause you can jump and wave ride, but there are definitely better spots nearby. I think this day at this spot it was the best. How are the conditions on a good day in Waddell Creek and what gear did you use? This day was as good as it gets. Powered up 4.7m with an 81 liter board and it was perfect!!! What’s the best time to visit the spot? Spring is usually best but I actually can’t remember a better day than this one at Waddell Creek. Did you spot any sharks during your sessions? No!! But I try not to look. There were dolphins and lots of sea life so there is a good chance that they are right around. That’s a tough question…..I don’t know what the life leads for KP, but I sure have been enjoying it. I just got back from an epic trip to Baja and then drove up the coast to Oregon and now waiting and looking for the next good spot!!! Thanks much for the great interview! Thank you and thanks for putting an old guy online!!! KP in an interview about a great day at Waddell Creek, California. Kevin Pritchard enjoyed the great wave conditions at Waddell Creek and met good old friends. Earlier this week Kevin Pritchard scored a double windsurfing session at Waddell Creek Beach and Davenport. Check out a short clip by Ian Boyd.